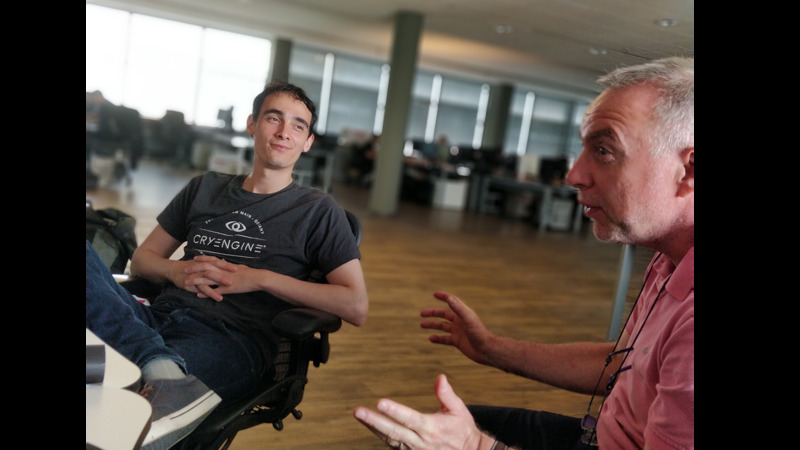 CRYENGINE is the cumulative effort of many people’s talents, and in our latest feature we’re catching up with Yakir ‘Nic’ Ketteler and Jeremy Wade from our Community Team. We hope you’ve seen how much we value community feedback and how it directly shapes the engine. 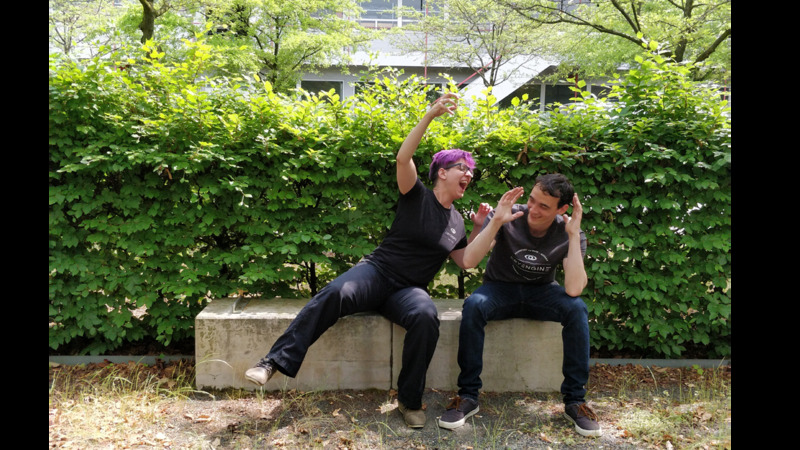 Both Nic and Jeremy play an active and vital role in making sure all developers, whether working at a large studio or taking their first steps experimenting with CRYENGINE, have their voices heard. And a whole lot more too. Hey guys! Thanks for joining us. How did you end up joining Crytek? Nic: I began my career in games at EA in Ireland and then Zenimax. I came back to my homeland of Germany for a time out but then I saw a job opening for a CRYENGINE Community Manager. I found the idea to work for CRYENGINE so intriguing, I immediately applied and ended up with not much of a break! Jeremy: I actually started out in the community, tinkering with CRYENGINE to hone my C++ skills. I began by messing around in the GameSDK and as I progressed I started to help others on the forums and on the AnswerHub platform. Learning the engine became a passion and I started creating guides. Every time I helped someone, it gave me a sense of pride, and I wanted people to enjoy the dev process as much as I did. I began to speak more with the people at CRYENGINE, and they gave me a nudge, and the confidence, to apply for this position. What is your main focus at the moment? Nic: My main focus is the community feedback loop. Over the last couple of years we have implemented many features, workflows, and systems to make sure our users have a voice regarding what features will come to the engine. I also keep tabs on our community’s input and needs and bring them together with our goals as a developer. It can be tough but it’s hugely rewarding especially because we are in the unique position to be very close to our own game teams and their production pipeline. Jeremy: I want to help grow the community by bridging the gap between the community and the CRYENGINE team. This involves being highly active on all our social platforms. I also help to get feedback from the community into the right areas and to the right people so we can better align with the community’s wishes and work on fixing problems encountered in the wild. What are the most satisfying moments in your role? Nic: I love helping the community to submit feedback, a pull request, or a technology exchange from an indie studio and seeing how that changes the shape of the engine for the better. I also get to work very closely with our indie devs and licensees. It’s awesome to see so many great projects and games come together, from early development through to release. We love to help smaller projects take off and assist where we can. We take indie devs to conventions with us, help them with networking, and even find publishers sometimes! It’s almost like being a community manager for dozens of additional cool games, and it’s massively rewarding. Jeremy: The most satisfying thing is when we can make a difference for someone, whether resolving an issue or by giving someone the tools to make or progress a creative idea or project. Turning a negative into a positive is genuinely the most rewarding thing I can think of and it’s one of the main reasons I love this job. What does a regular day at work look like for you? Nic: I come in and check my emails, the social channels, the forum, Discord, Slack etc. and see what the community is up to. 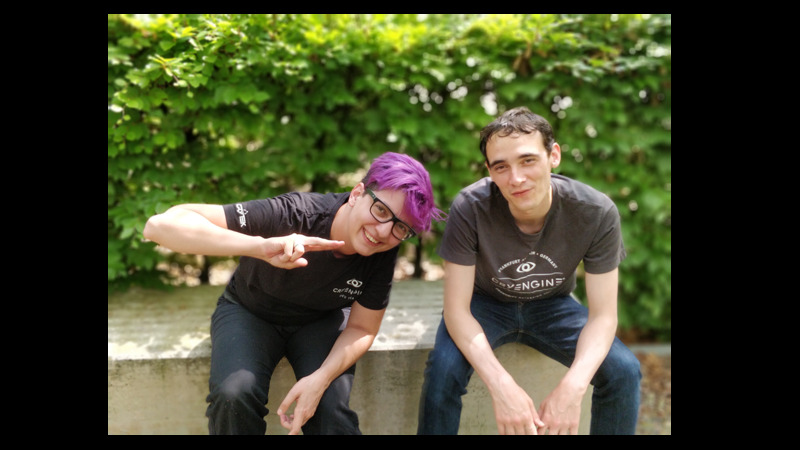 I interact, engage, and follow-up on development, implementations, bugs, fixes, and so on, together with our stellar Community Coordinator Jeremy, who you may know as Cry-Flare. I am not a programmer, so Jez and his technical knowledge has been an awesome addition to the team. I also identify content that’s worth sharing, stay in touch with our indies and keep tabs on promising projects that are great showcases for what you can achieve with CRYENGINE. Then my attention turns to future content which includes sorting out blog posts and identifying potential interviews with people doing cool stuff with CRYENGINE. I also work with our engine team, game teams, and our Learning Manager Brian to create news updates, and reach out to partners like Allegorithmic Substance to see how we can team up. Other areas we take care of are putting together our presence for conventions and conferences, along with our educational effort at universities. We’re committed to supporting the local academic institutions educating the next generation of game developers. Jeremy: Once I arrive at work I get straight onto the social channels, interacting and engaging with the community. I will be trying to gather feedback and requests, channelling feedback to the appropriate teams, answering all kinds of questions relating to CRYENGINE development, and trying to find solutions to issues our users may have. 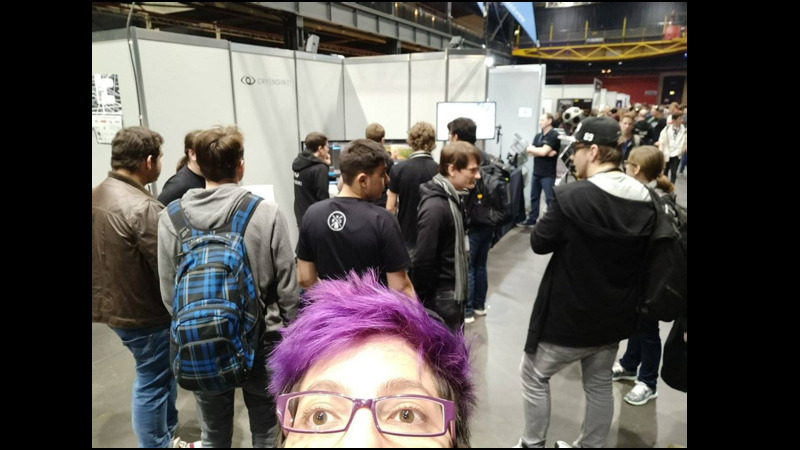 I’m also involved in setting up events, promoting community assets or indie games and partners, or, my favorite, talking about the new awesome features from our latest CRYENGINE release. I also communicate with the dev teams and related departments to help bring community issues and ideas into our internal workflows with the help of the awesome people here at Crytek. 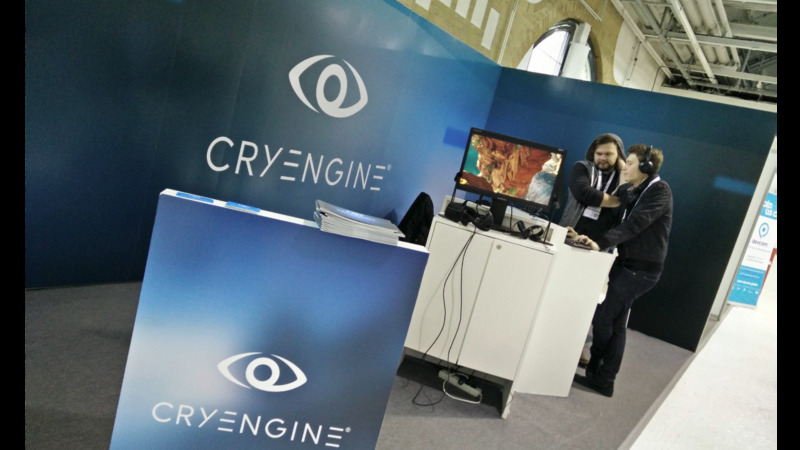 What are you most excited about coming to CRYENGINE next? Nic: I am massively excited about Mavericks: Proving Grounds from Automaton. This is going to be a HUGE deal! The technology exchange with the Automaton guys brought Spatial OS into CRYENGINE which makes me insanely happy. Above and beyond that, I am looking forward to the tons of Sandbox Editor improvements we have on the list, from smaller UI/UX changes to the further expansion of the Asset Browser system. Jeremy: I am personally most excited about live interaction with the community. 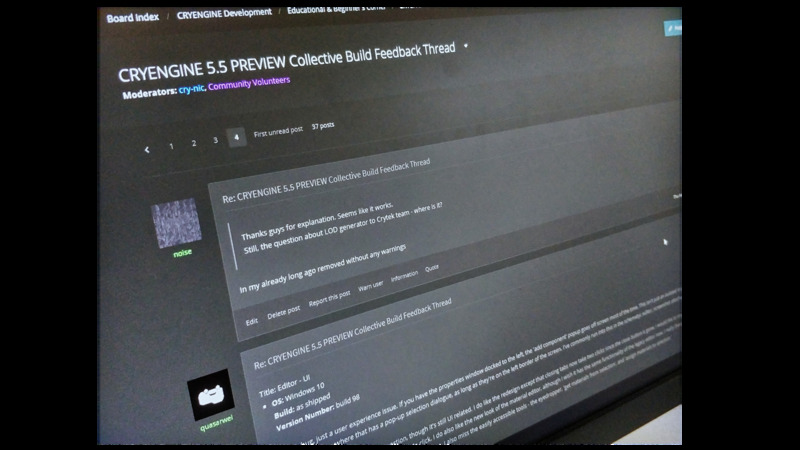 Our recent AMA on the CRYENGINE Developers community Discord server is another step towards increasing the interaction between the CRYENGINE community and developers. It’s not just about the community either, this type of interaction helps inspire our developers to provide cool new features and fix issues that the community developers may be encountering. We definitely want to do more of this. What trends do you see coming down the line in your discipline? Nic: Community development is still a new trend; this ‘missing link’ between user feedback and development is exactly what was needed in my opinion. A dedicated role that owns the communication and workflows between game teams, development, and users is worth so much in terms of transparency, user experience and development pipeline. It is a lot of work for all parties involved, but it just brings everyone together in a team effort to create the best service and product possible. Jeremy: Direct, real-time community engagement - this goes for gaming industry as whole. It can be difficult when you have large audiences, and you will want to manage your resources in this area, but a lasting and more personal approach is better for everyone. Have you got any tips or tricks you’ve learned along the way? Nic: Never give up. I think you need to be passionate about what you do, but it’s not always easy to have the courage or belief to take an opportunity. So if you have a passion for something, don’t be afraid to give it a go and stick at it, as you never know where it could lead. Jeremy: Tools, workflow and most importantly a positive attitude. Creating a workflow that suits you and your team the most will help you to leverage the tools that are available to you in the most efficient way and help you to deal with surprises more confidently. We’re all human and have our ups and downs, but staying positive and believing in what you’re doing is important for when those surprises come along! Nic: Currently I am playing Wolcen: Lords of Mayhem and it’s just ridiculously gorgeous. Slaying tons of monsters has never been so much fun or looked so pretty, and this gem of a Hack ‘n’ Slash game has an insane number of cool features. Racing Glider is another CRYENGINE gem I adore right now and Aporia: Beyond the Valley was my puzzle game obsession in 2017. I also play a healthy amount of Warframe, and I’m in love with the intriguing concept behind Monster Prom! Jeremy: I’m a competitive gamer at heart, so I’m usually playing competitive FPS games with my friends, such as Counter-Strike: Global Offensive, PlayerUnknown’s Battlegrounds and of course Hunt: Showdown. I also like games with strong characters and immersion. For example, Life is Strange was something that truly surprised me. Such a simple game mechanic but with its engaging story and immersive atmosphere, I was really drawn into that world. As you’ve read, we love to receive your feedback about all things CRYENGINE, so don’t hesitate to get in touch with your thoughts or ideas on the forums, Facebook, and Twitter. It all gets heard. And if you’d like to join the team, Crytek is recruiting across all disciplines so check out our job offerings now!